Happy New Year! Let's make it the best year yet! A new year and new beginnings! At Maryland Public Television, we are ringing in the New Year with two new television channels, two new resource offerings, and a special screening of Mercy Street! We look forward to sharing and connecting with you in 2017! Find inspiration in 2017! Over the next year, we will introduce you to local educators using innovative technology, practices and methods to enhance student achievement, engagement and knowledge. Their work will be showcased in our new Spotlight on Educators series. We kick off our initiative with videos featuring Maryland's top Teachers of the Year. 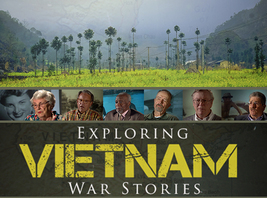 Explore the Vietnam War in your classroom through the lens of Maryland Veterans that experienced it first-hand. Segmented into key topics, each learning module is designed around video clips taken from MPT’s documentary film, “Maryland Vietnam War Stories.” Activities include essential questions, primary and secondary sources, standards alignment and educator resources. 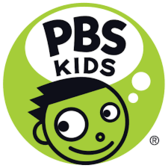 We are setting the bar high in 2017 and pleased to announce the arrival of a brand new 24-hour PBS KIDS channel, and NHK World, an English language channel focusing on Asian news, culture and lifestyles. You can find scheduling information on MPT’s station website. Let your voices be heard! The Maryland State Department of Education is looking for input on how the state can improve Maryland schools and classrooms in the coming years. Parents, educators, students, and community members are all encouraged to participate in listening sessions being offered throughout the state. A team of daring scientists reveal ancient secrets of the first people to settle in the forbidding Himalayas. Join them as they climb into mountain tombs that preserve evidence of strange rituals designed to ward off restless spirits. Join MPT for an exclusive screening of Mercy Street followed by a panel discussion. Doors open at 6:00 pm and the screening will begin promptly at 7:00 pm. Location: Weinberg Center for the Arts, Frederick, MD.